Sound modelling has become an increasingly popular tool in acoustics, often for assessing the impact of potential developments or for predicting the effects of noise mitigation methods. Using formulae for predicting the creation and propagation of sound that are provided in various standards and guidance and combining this with illustrative tools and visual aids it is possible to calculate and map out decibel levels, providing useful information that can help acoustic professionals. From modelling sound sources using real-world measured levels that are converted into sound power levels, or using sound power levels provided by manufacturers that have been taken in laboratory environments, it's possible to model the propagation of the noise generated by these objects in various scenarios. By taking traffic information or spot measurements and combining them with aerial views it is possible to map out the effects of an existing road on a hypothetical development, or predict the screening required to bring levels below the requirements given for minimising health effects. Looking to create your own model? 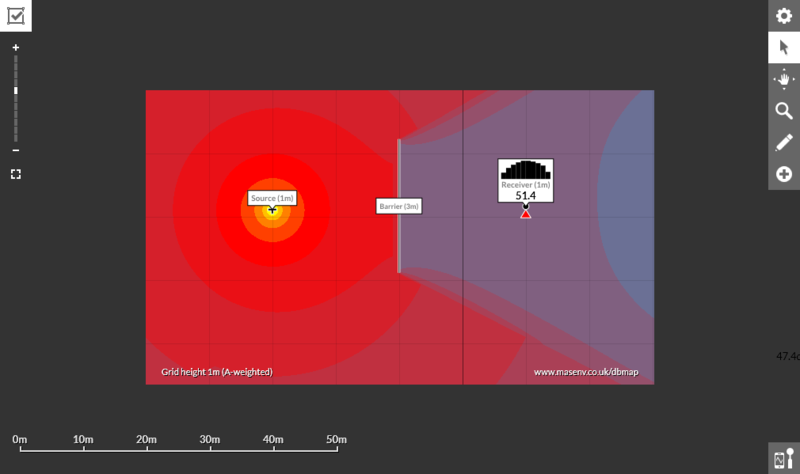 We have developed our own free-to-use sound modelling software providing a simple tool for those interesting in mapping noise either for professional or educational purposes. Interested in our noise mapping services? For more advanced sound modelling solutions, our design team uses DataKustik's CadnaA environmental noise mapping software. 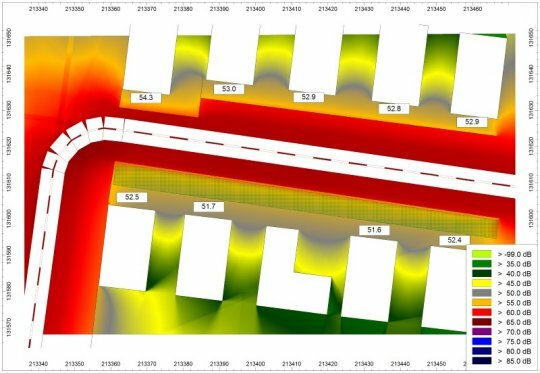 CadnaA offers a broad range of features for complex modelling scenarios and is widely used in the acoustics industry, including consideration of ground height, road prediction using CRTN and other object types such as foliage, railway and line/area sources.